If you need to enable email alerting in your fortigate firewall you simple need to review this youtube video that clearly explain configuration. If you are using Fortimail VM as antispam system you could have necessity to change SMTP ingoing and outgoing email. 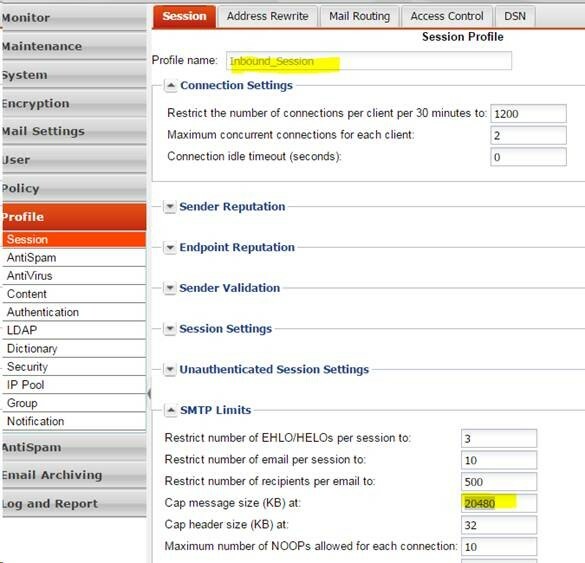 You need to go to profile --> Session --> for each profile --> SMTP Limits --> Cap message Size (KB) at. Take in consideration this fortinet manual advice. During these years we found possibility to launch robocopy that, in real time, monitor folder files and copy immediately to destination if any changes occurs. Here you can reviews various blog's articles related to robocopy command. Here is parameter syntax about real time backup.